Drywall installation is proceeding. 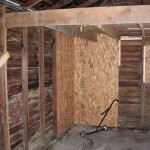 This is allowing us to continue the rough-in that is below the ceiling in the heated space, i.e. fire sprinkler lines and water lines that are in soffits. On the exterior, all of the sidewalks and curbs have been poured and the final grading has been completed on the drives and parking lot. The stone base is in place ready for paving. 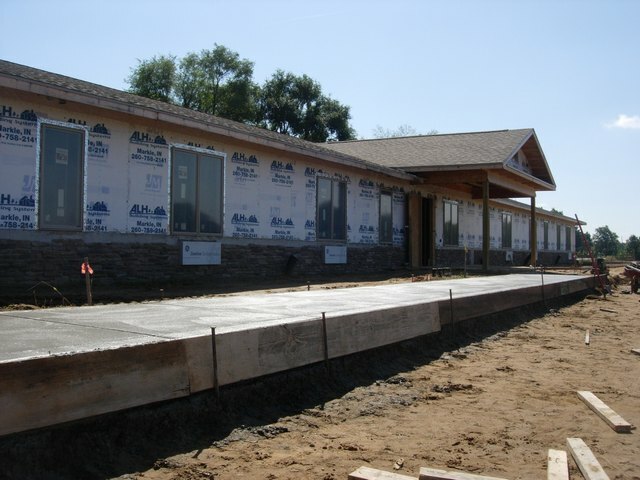 The topsoil is in place ready for landscaping as soon as the finishes on the exterior walls have been completed. We’re currently working towards completion in late December if things continue to go well. It’s been a while since my last update on Culver Garden Court. Things are proceeding quickly. Rough-in is complete on wiring for the electrical, security and fire alarm systems. Plumbing rough-in is complete. HVAC rough-in is nearly complete. This has allowed installation of the wall insulation. 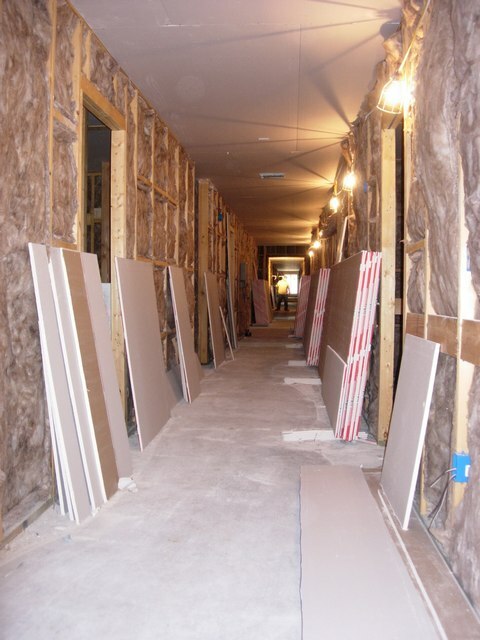 Exterior wall insulation is complete and sound batts have been installed where required between units. Drywall installation has begun. The first thing to be drywalled will be the ceilings. This will allow blown-in insulation to be installed in the attic. On the exterior, the faux stone wainscot installation has begun. Most of the stone is in place. Next will be wall caps and the column bases. Once wall caps are in place, siding and soffit installation will begin. Installation of concrete walks and curbs is currently underway. This will allow us to proceed with paving preparations. We made some decisions on revised locations for the sign and flag pole, so the installation of those items can proceed as well. The Shore Club of Bass Lake opened Memorial Day weekend earlier this year. We were pleased to work with Jane Sheets and Ed Rickman on this project from the start as we previously discussed in this entry regarding the BZA hearing for the project. We want to wish them the best of success with this new venture! 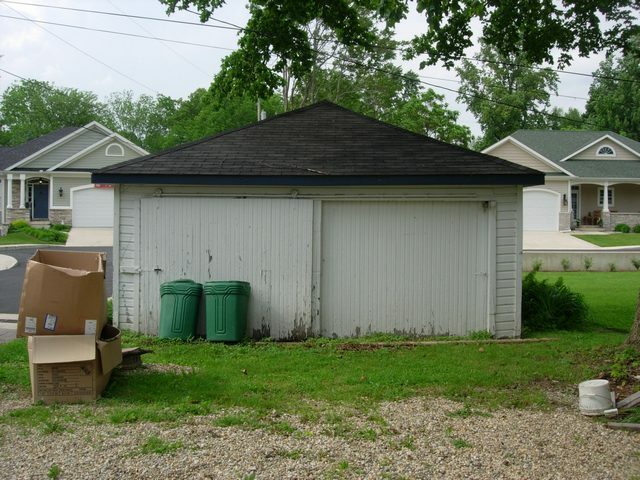 As is often the case with remodel projects, we found additional code violations, structural and electrical problems that were concealed. We worked closely with the new owners to make sure that the items under our contract were corrected properly. This can become a little frustrating when you’re working under a tight deadline to get the planned work complete and then suddenly have new requirements thrown into the mix. Fortunately we were able to make these changes and complete our work on time. The Shore Club was featured in an article in the Pilot News Weekend Addition, August 6-7, 2011, in which Jane and Ryan Sheets discuss their vision for the new Shore Club. They have worked hard to keep the feeling of nostalgia for those familiar with the Shore Club of the past, while adding new features such as outdoor patio dining and banquet facilities. Culver has become well known for our restaurants. Jane is a Culverite and she is hoping to spread that reputation west to Bass Lake. If you haven’t done so, give them a try! We were recently commissioned to renovate an old garage in Culver. 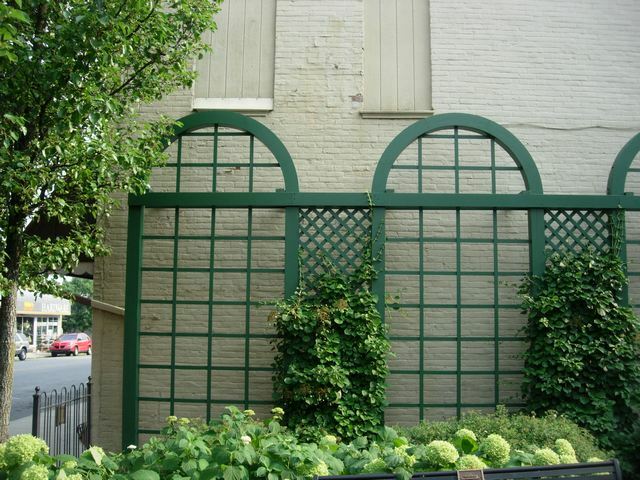 There is nothing more “green” than repurposing an existing structure. Plus in this case the existing structure sits on the property line, so to maintain the current access and location, it had to be remodeled rather than be rebuilt. 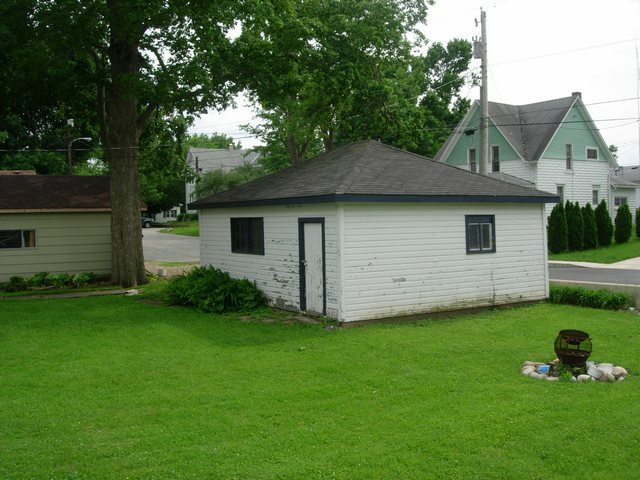 The existing structure had two walls bowed to the point of being nearly off the foundation. The entire structure was out of plumb in at least two directions, one by approximately 5″ in 7′! It was a rather sad structure. In its pre-renovation condition the local squirrels were getting more use out of it than the property owner. New concrete walks, aprons and a new concrete floor were completed in conjunction with our work by another contractor. This structure was not the best built in Culver when we arrived at the site. It appears that it was not originally built “square”. We tackled it with the intention of making the best of what was available. We started by grouting the block cores full in the foundation wall where the bottom plate had moved. The allowed us to pull the wall back into position and anchor the wall to the foundation in the correct position. We then reconnected the tie rafters to square the top of the wall. We were only able to partially achieve this goal as shelving had been added which held the wall slighly out of plumb. At the corners we pushed and pulled them back to as close to plumb as possible. 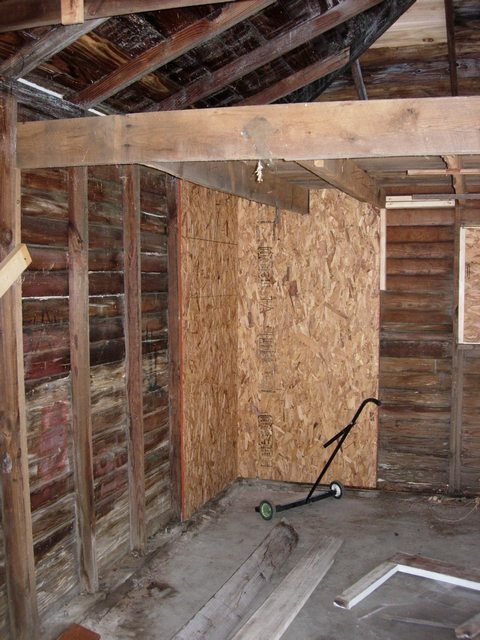 Sheets of OSB sheathing were installed on the inside of the walls at the corners to provide diaphragm framing. This diaphragm framing held the studs in place at their corrected locations. The existing windows had been installed without headers. 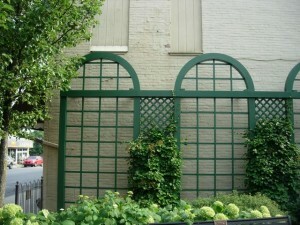 We reconstuctioned these openings with headers and installed new windows. The existing entry door was replaced with a standard door size. The existing sliding doors were replaced with sectional overhead doors. We also added new electrical wiring, replacing the old knob & tube wiring. Electrical wiring was brought underground from the house connecting to the existing electrical panel. GFI duplexes (inside and outside), interior lights and exterior wall sconces were added. To finish out the exterior cosmetic changes we installed new siding, new soffit, new fascia and new architectural shingles. The resulting facelift was a phenominal improvement. Our client should take up a collection! I think the whole neighborhood has been improved by this renovation. The owner is pleased and christened the renewed structure by camping out in it with her children the first night it was complete. 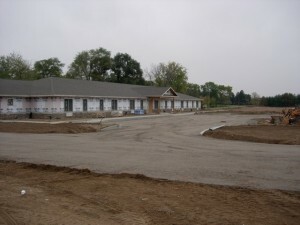 The above picture in a recent Culver Citizen caused a “blast from the past”, reminding me of our work on Heritage Park when it was first constructed back in 1997. 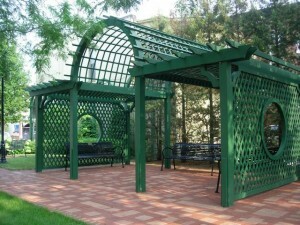 We were commissioned to build the trellis panels and the arbor. The design was created by Mark Holeman (Mark M. Holman, Inc.) and was all custom sized and dimensioned. Mr. Holeman even custom sized the lattice which was constructed in a square pattern in lieu of the standard diagonal pattern. 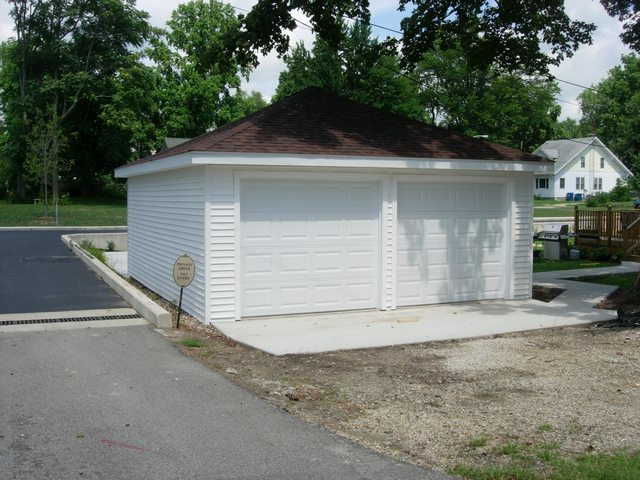 This was our first project with Mr. Holeman, but we have since worked with him on several projects around Culver and in other locations. Richard Fisher of The Antiquarian and Historical Society of Culver coordinated various contractors to complete the park, so we were only involved with the carpentry. At that time our best carpenter for this kind of work was Ansel “Uncle Bud” Cripe. 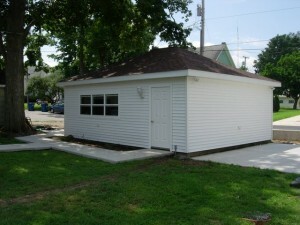 He was semi-retired and only working on custom woodworking projects such as cabinetry, railings and such. He was in his late seventies, turning 78 in September of ’97. 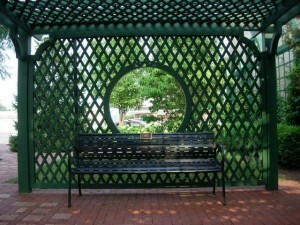 He mumbled and groaned about the project, shaking his head, uttering an occasional signature “lawzy!” as he went through making patterns, gluing multiple layers to create the curved tops on the trellis panels and working through the intricacies of mounting the circle within the custom lattice for the arbor. Per Mr. Holeman’s specifications, all of the wood used was redwood. Also per specifications it was all #1 clear redwood. This made the material costs high. There was no margin for error! Fasteners were non-staining, exterior grade. The glue and fillers also had to be exterior grade. Everything was built in sections at our shop. One of our crews assembled the pieces on site under Uncle Bud’s direction. Throughout the entire project, Richard Fisher was never far from the process. He came to our shop to review the progress and was also on site when the assembly was completed. As with most carpenters, Uncle Bud loved working with high quality wood and he treated this project with reverence and respect. He spoke of it with pride in subsequent years, though he could never understand why they took that beautiful clear redwood and painted it green! Sacrilege! Particularly after he had carefully fit joints and hidden fasteners since the original plan was to only apply a clear sealer. If you would want to support Heritage Park through the purchase of a commemorative brick, the Antiquarian and Historical Society of Culver has them for sale here. Bricks are available in single and double sizes. You can find a map of brick locations and a copy of Mark Holeman’s original site plan here. Unfortunately both Uncle Bud and Richard have passed away. They are each unique characters from our past that are missed.